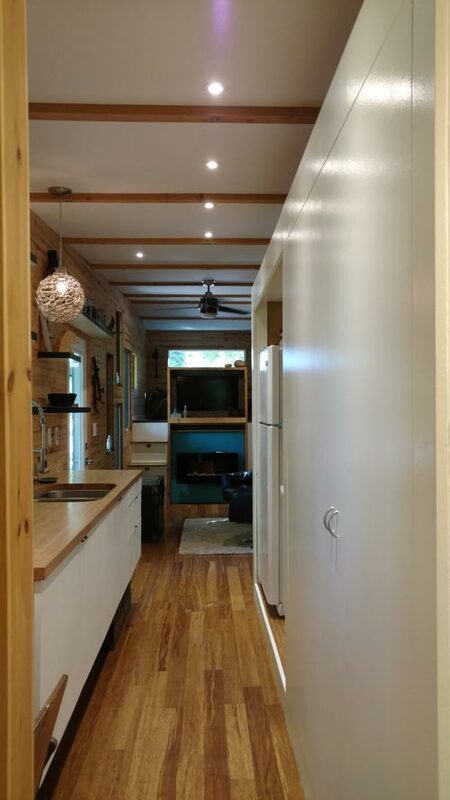 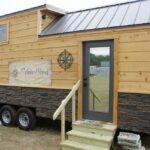 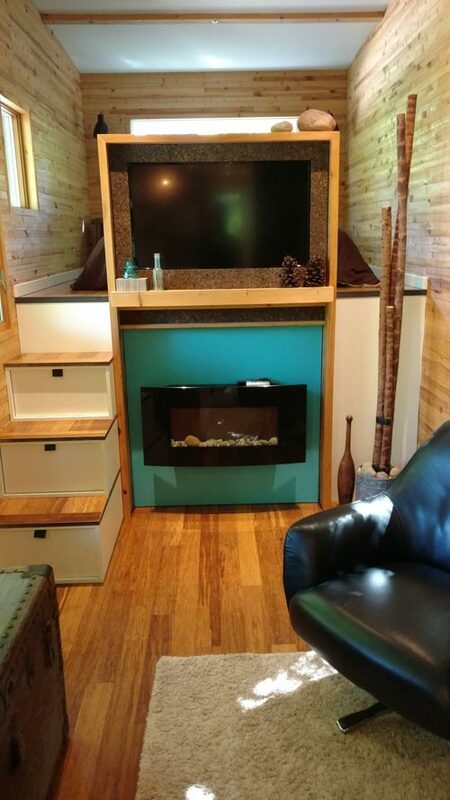 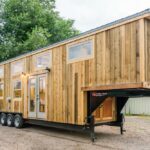 From Michigan-based KMH Concepts is tinyhaus, a 35′ fifth wheel tiny house. 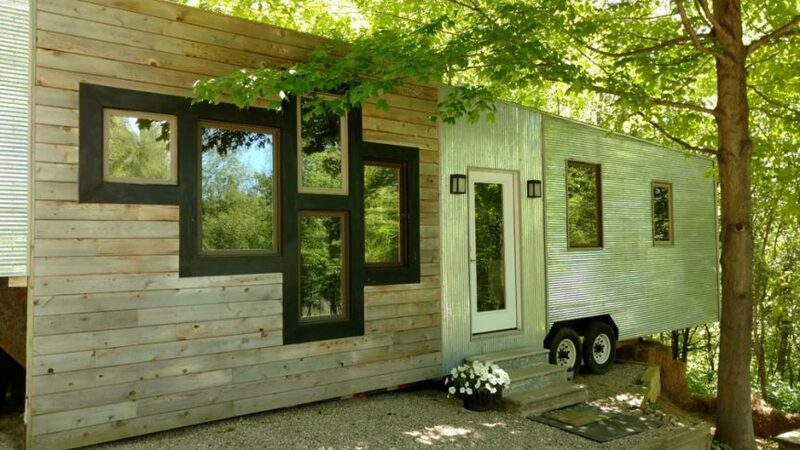 The tinyhaus is 320-square-feet and focuses on maximizing storage space. 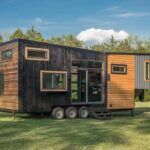 Whereas most tiny houses have primarily cedar siding with a metal accent, tinyhaus is clad in corrugated metal with a feature wall of reclaimed cedar. 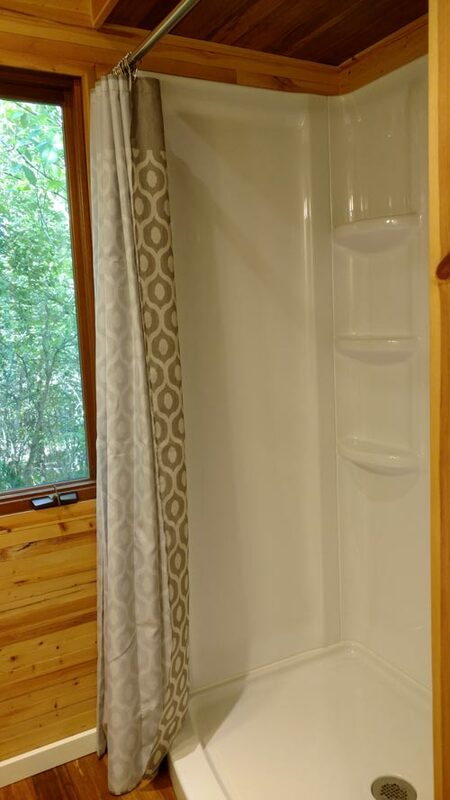 The “window collage” adds a unique design element as well. 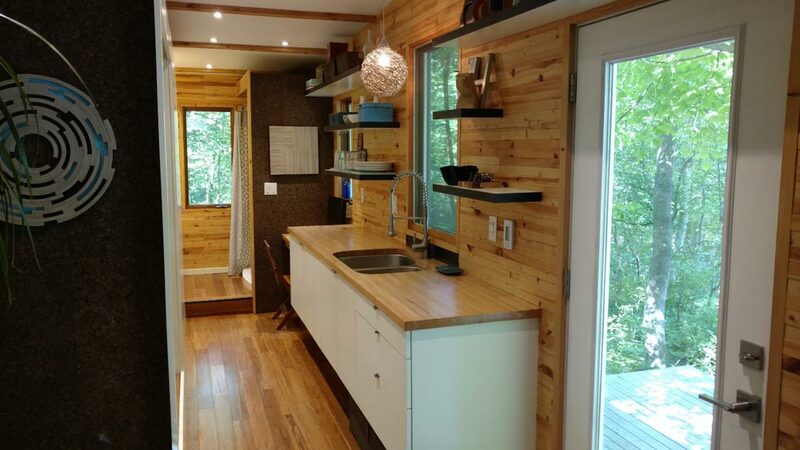 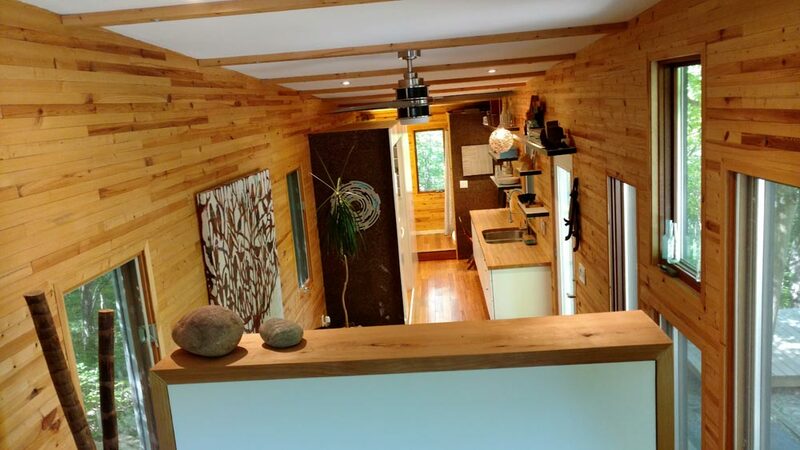 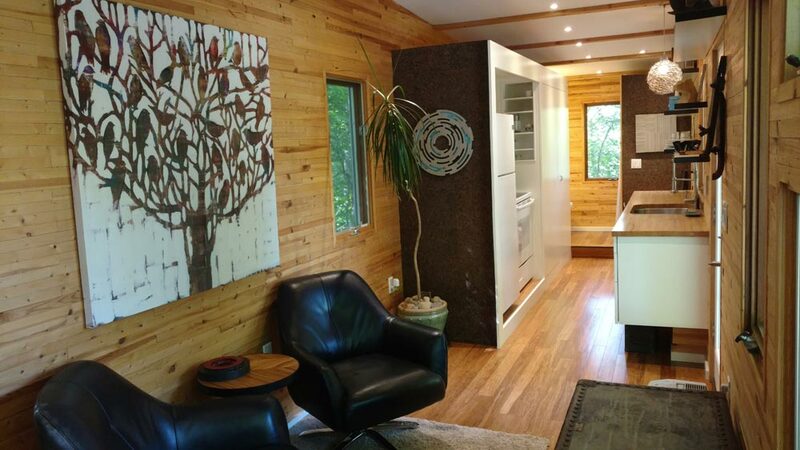 Inside the modern rustic tinyhaus are knotty pine wall panels and bamboo flooring. 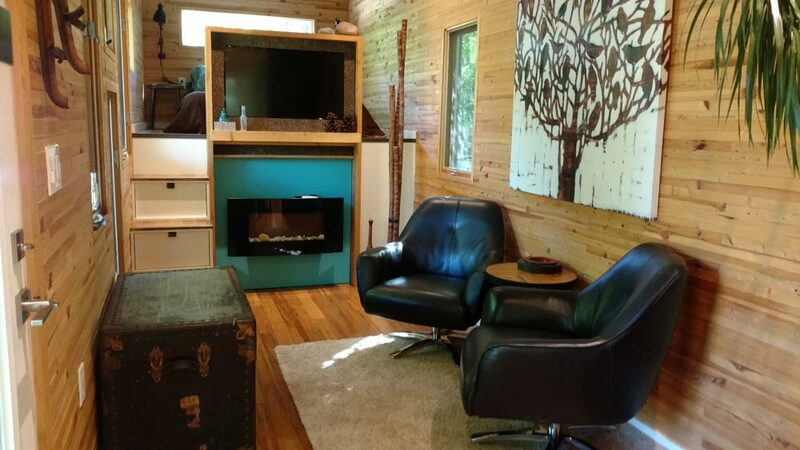 The spacious living room has a built-in fireplace and flat panel TV. 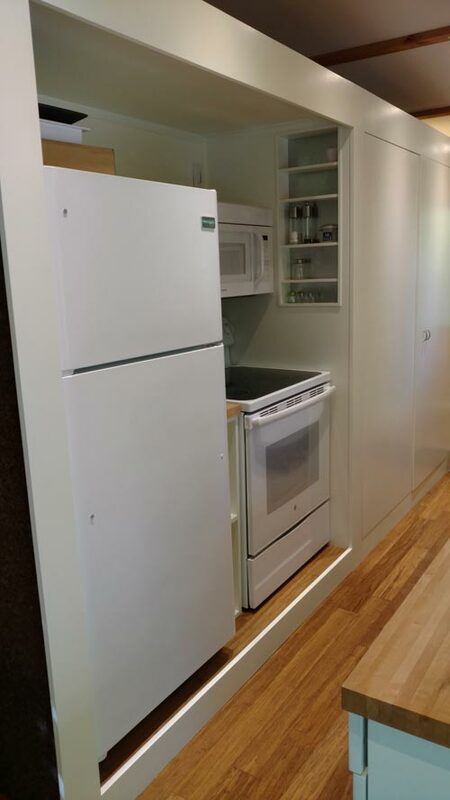 The kitchen is equipped with full-size appliances, floating cabinets, a utility closet, and 9′ of counter space. 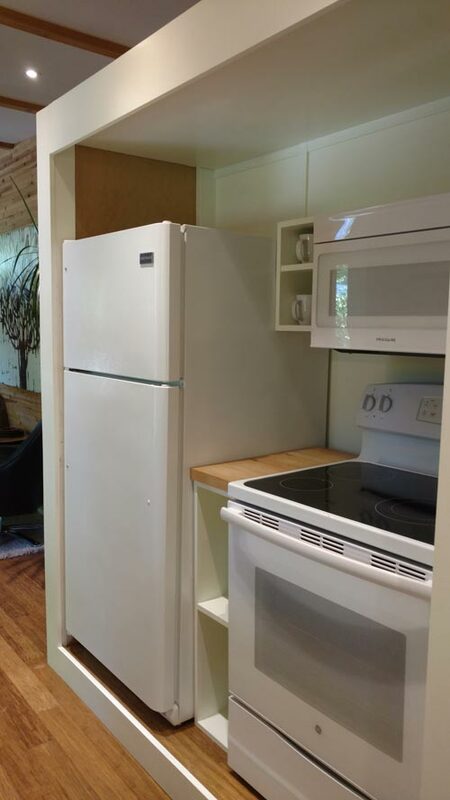 There is a 30″ desk next to the kitchen as well. 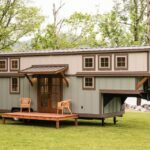 The bedroom is located over the gooseneck, providing a good amount of headroom. 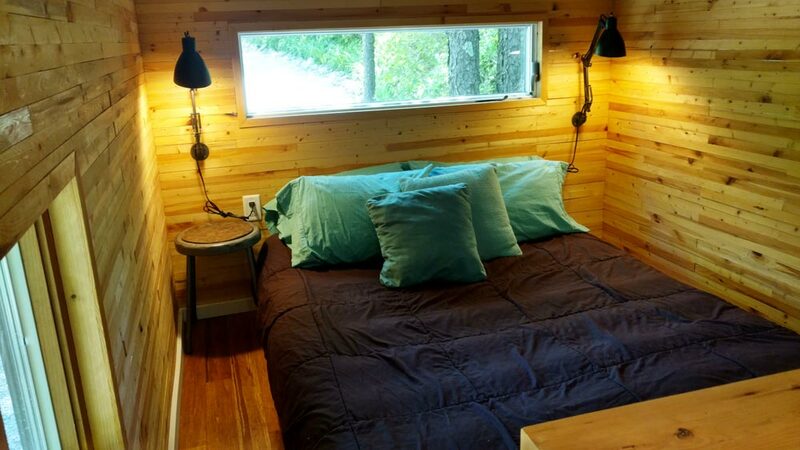 There is space for a queen size bed and nightstands while still allowing room to walk around either side of the bed. 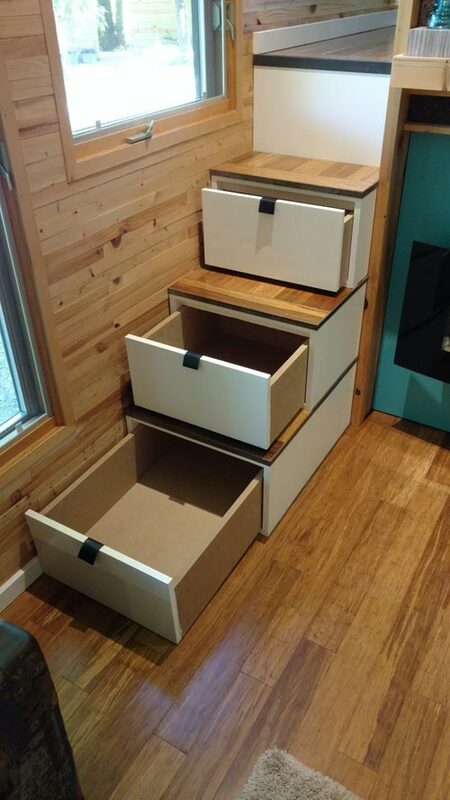 The four step leading up to the bedroom are large drawers, plus there is a 7.5′ wide closet for hanging clothes and additional shelving. 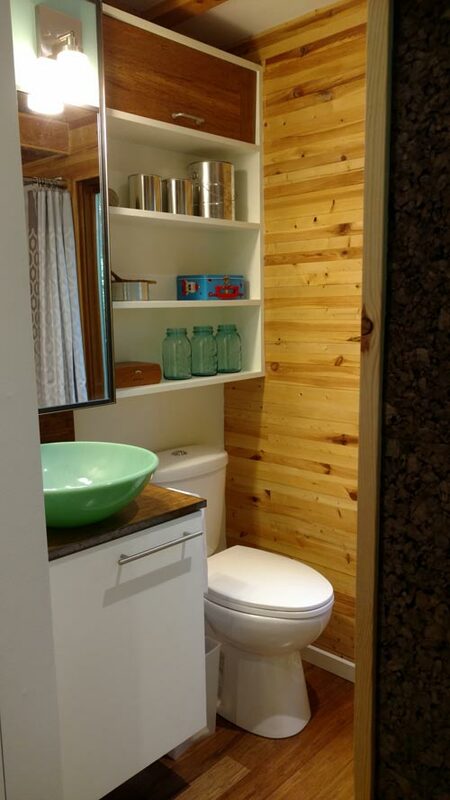 In the bathroom is a standard flush toilet, glass vessel sink, and a 4′ shower stall. 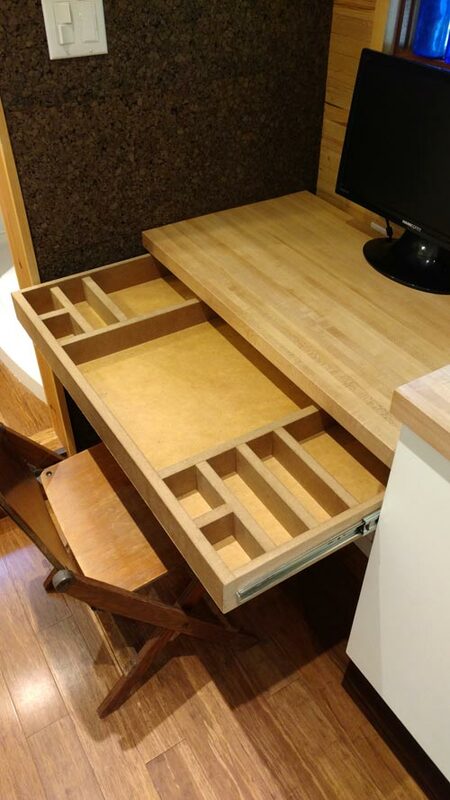 Built-in shelving and storage behind the mirror provide additional storage space. 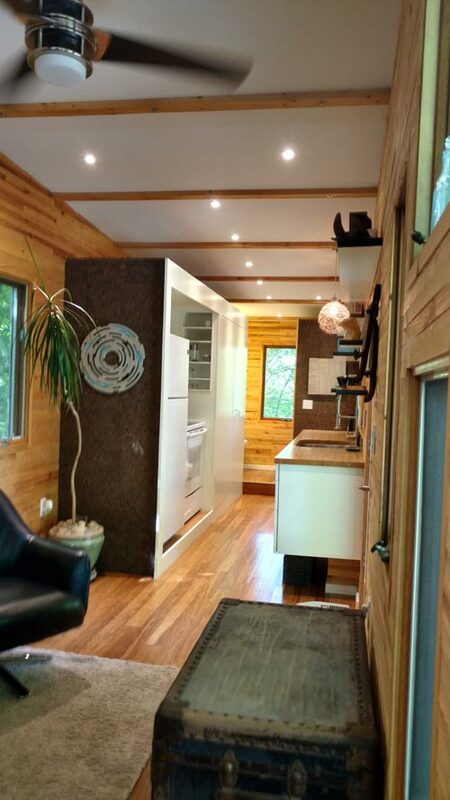 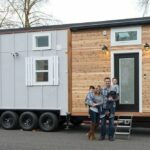 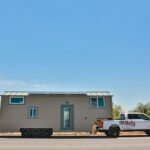 You can visit the KMH Concepts website for more information about tinyhaus.